Four poems by Michael Lee Johnson: "The Seasons and the Slants," "California Summer," "Common Church Poem," and "Flight of the Eagle"
Michael Lee Johnson lived ten years in Canada during the Vietnam War era. He is a Canadian and USA citizen. 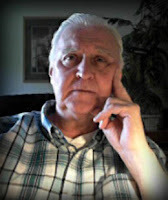 Today he is a poet, editor, publisher, freelance writer, amateur photographer, and small business owner in Itasca, Illinois. He has been published in numerous small press magazines in 27 countries, and edits 10 poetry sites. He is the author of "The Lost American: From Exile to Freedom" and several chapbooks. He has posted poetry videos on YouTube (https://www.youtube,com/user/poetrymanusa/videos.) Visit his Facebook Poetry Group and join https://www/facebook.com/groups/807679459328998/. His website is at http://poetryman.mysite.com/.